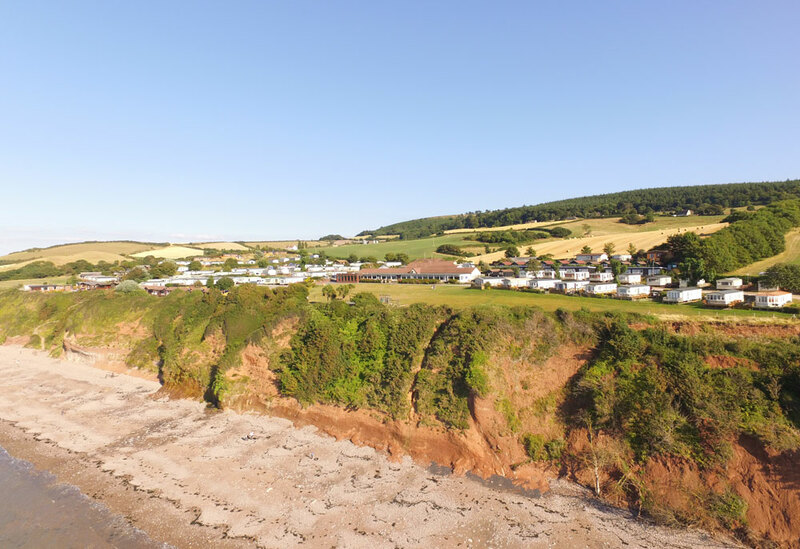 This stunning Willerby Vogue at St Audries Bay Holiday Club Somerset is one of the most well loved holiday homes with its added luxury and comfort. The modern well equipped kitchen and dedicated dining area with its feature Dorma canopy leads to the spacious ‘Presidential’ lounge via sliding partition doors. You are able to make the most of the stunning sea view through the “Aspect” front opening doors which lead straight onto the decked area. Perfect for those balmy evenings and spectacular sunsets. This model includes a sumptuously appointed feature main bedroom with en-suite shower room and generous walk-in wardrobe, as well as a family bathroom with full-sized bath with shower over. The Vogue is located on a lovey large sea view plot and comes complete with an immaculate garden and wrap around sun deck. The owners have left a storage shed with power for garden tools and an additional fridge. The plot has parking for two cars. N.B the TV and stereo equipment are not included.